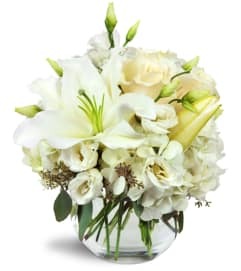 Perfect Day™ Bouquet extends warmth and sunlit cheer through the beauty of roses and Oriental lilies to wish your special recipient a day like none other! 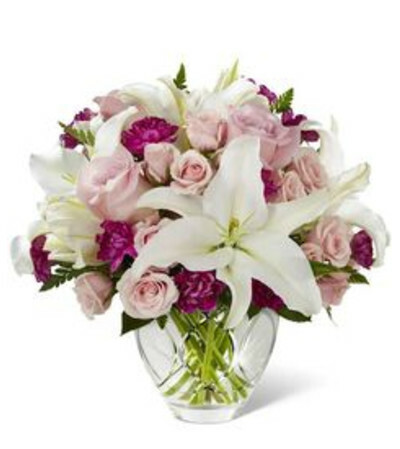 Pink roses, white Oriental lilies, pale pink spray roses, plum mini carnations and lush greens are brought together in a designer etched clear glass vase to create an incredible flower arrangement intended to make them feel special and loved. 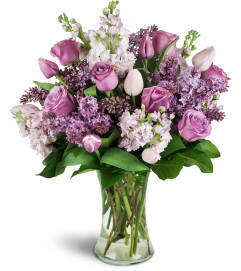 This stunning flower bouquet is the perfect gift for Mother's Day, to say happy birthday or anniversary or to extend your get well wishes.